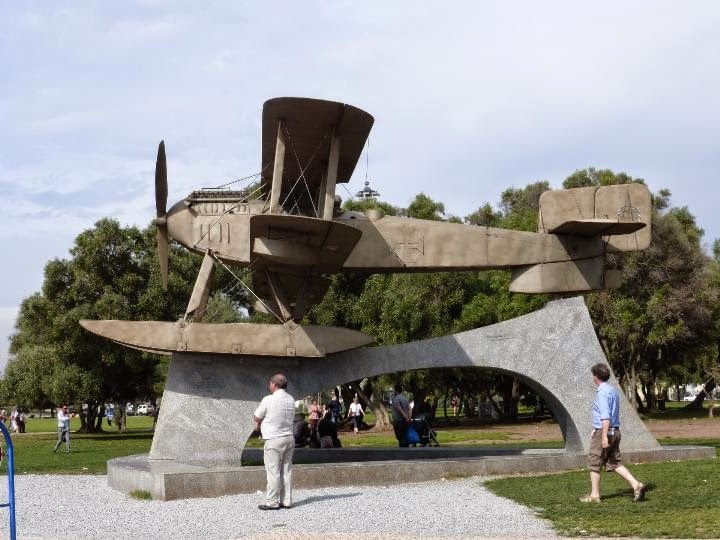 Continuing our tour of Lisbon,we saw this monument to the first flight across the South Atlantic by Portuguese naval aviators Gago Coutinho and Sacadura Cabral in 1922. 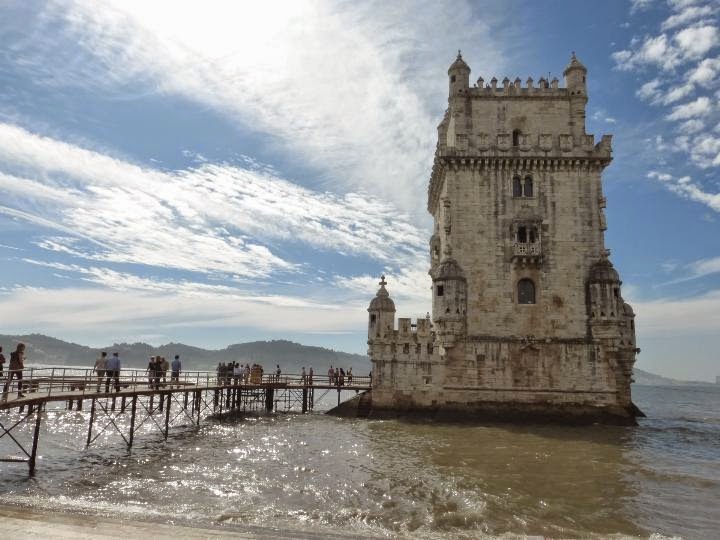 We continued walking through the park and came to the Belem Tower. 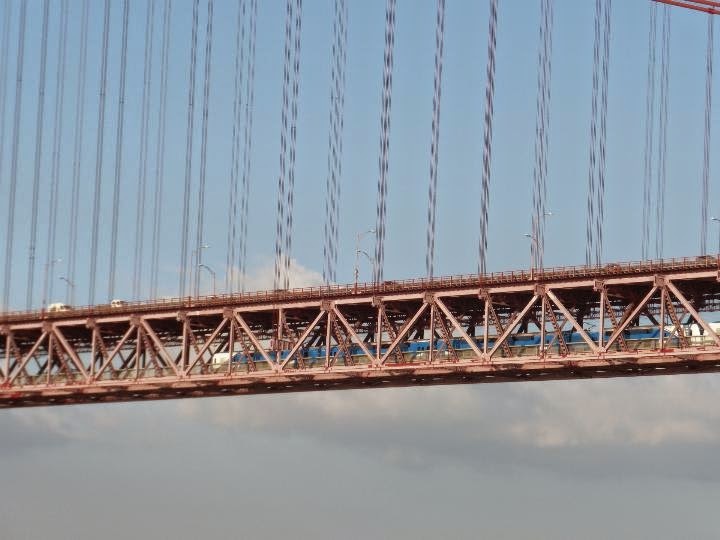 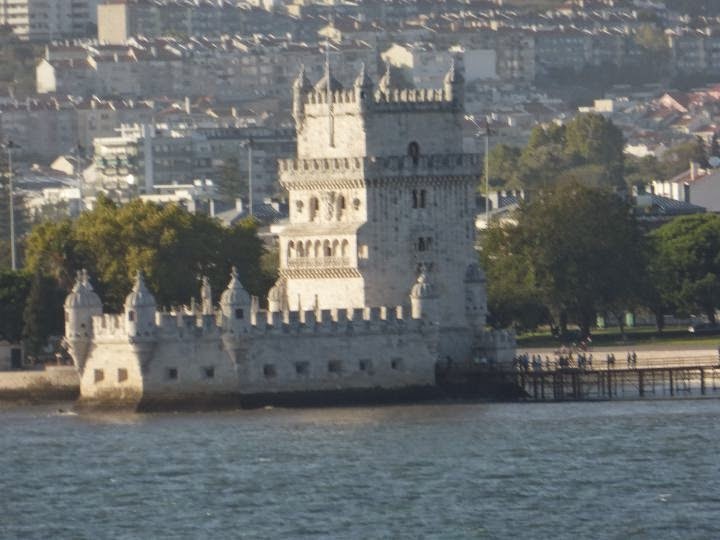 It was built between 1514 and 1520 as part of the Tagus estuary defence system. 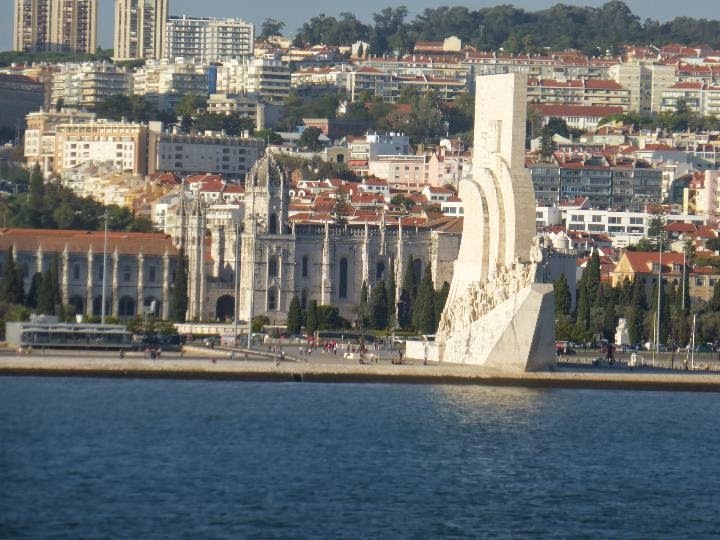 The Monument to the Discoveries. 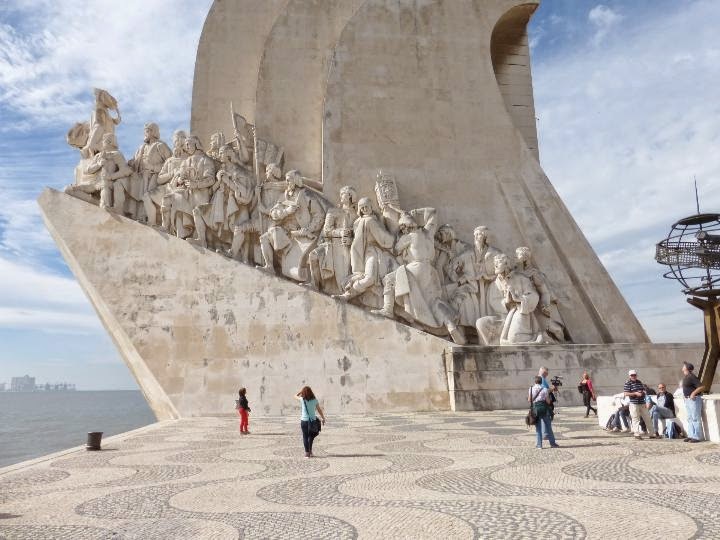 The Padrão dos Descobrimentos or Monument to the Discoveries was built in honour of Henry the Navigator, who was instrumental in the success of the Portuguese explorations during the fifteenth century, a period now known as the Age of Discoveries. 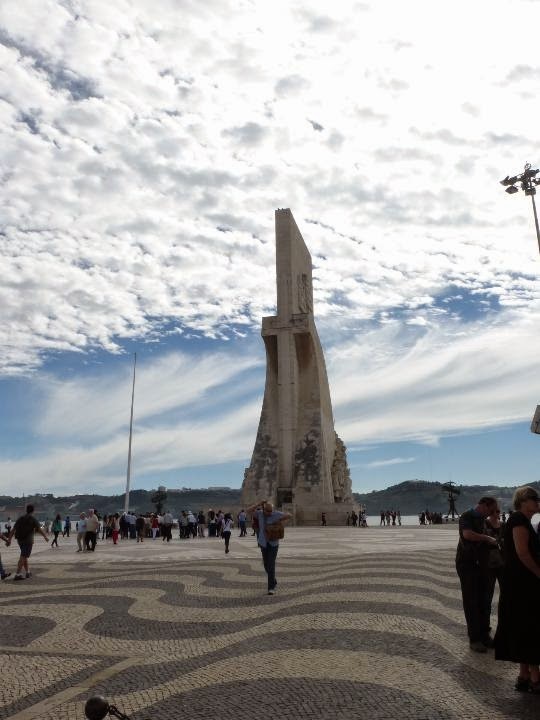 The monument we see today is an exact replica of the original one. 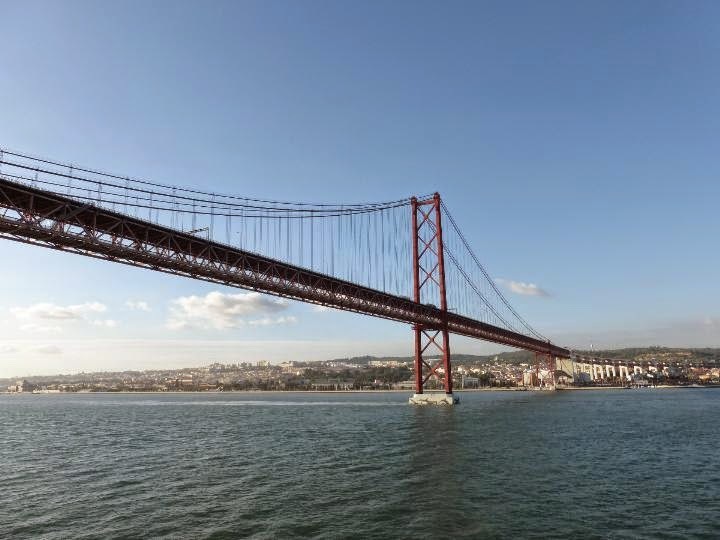 It was was built in 1960 on the occasion of the 500th anniversary of Henry the Navigator's death. 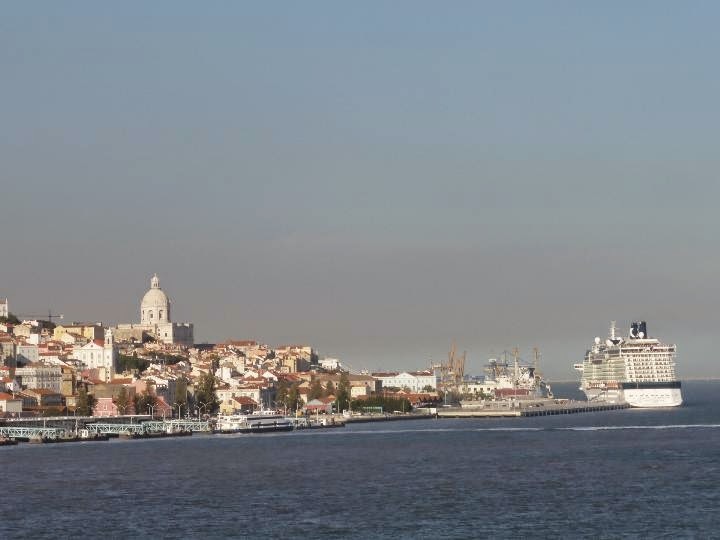 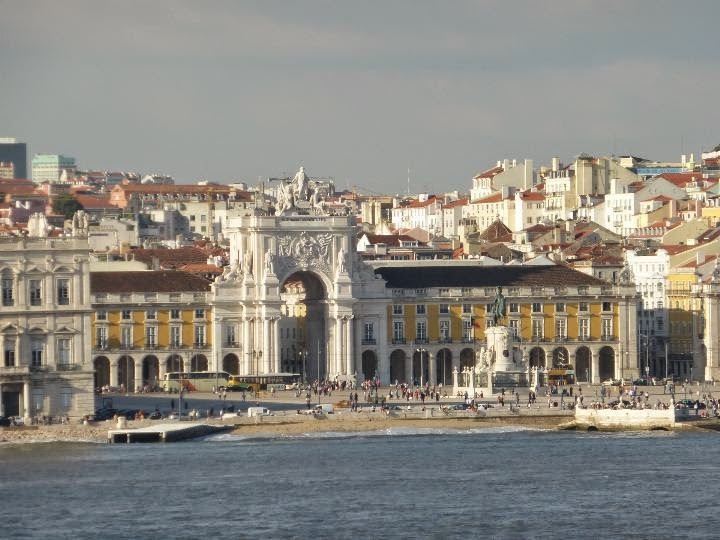 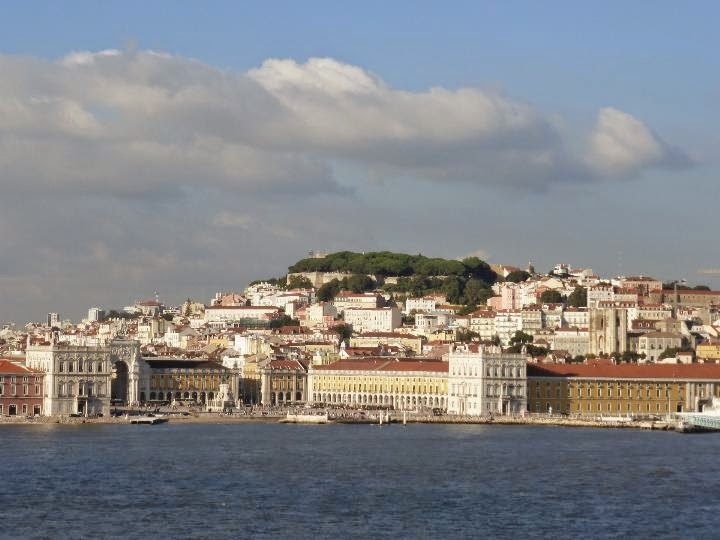 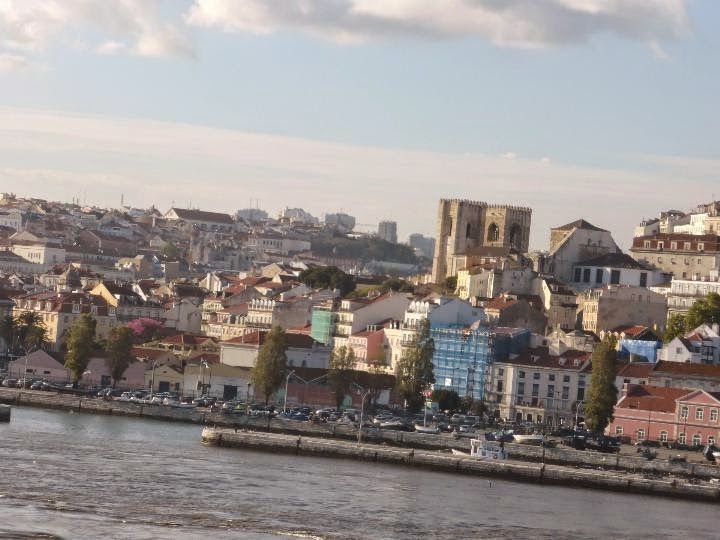 Views of Lisbon as we sailed down the River Tagus . 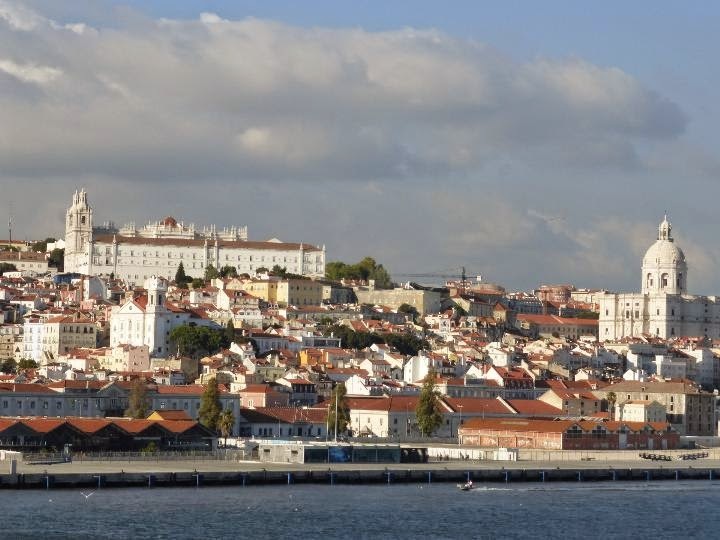 Santa Luzia Church and Sao Vicente Monastery. 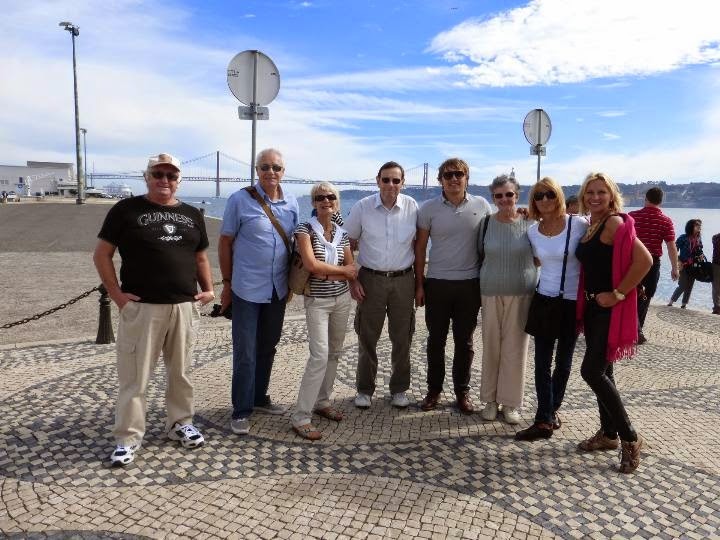 And so we left Portugal and headed for the Canary Islands.